Lebron James has been referred to as the finest hoopster in the planet, to date. But he could only show a couple of championship rings compared with some of the great cagers before him. He must have to step up to his game in the Finals to cement his being an MVP in the real sense. He must do a Jordan. In other words, he should be a scoring machine for his Miami team, never mind if the world of basketball, the apex of teamwork principle crumbles on the ground of individual playmaking. If he really wants his team to be crowned he must really do the yeoman’s job; there is no other formula for the win. On the other hand, the Spurs must be contemplating on how to play Lebron to the point of ejecting the latter to survive. But the Spurs are do-gooders and any underhand act is, for them, an unprofessional expression. They would rather go down the wire as a helpless party rather than besmirched their integrity with a low play. But if indeed, the championship is what they desire, they should have a strategy to clip the airtime of Lebron. Never mind Wade or Bosh or Chalmers, they operate on given opportunity only. These can be dimmed if the Spurs immediately would employ a full court press. The usual tact of coach Pop is to employ fresh legs to stalk James but these are palliative to a defensive and offensive player, par excellence, like Lebron. The whole bench should as a rule must be a dedicated clamp on King James if the Spurs would court the winning edge. Coach Spo should ignore the passing wizardly of Spurs. The San Antonio elders have been the in the business for so long that they can move the ball almost flawlessly even in pitch darkness. It is not only chemistry that makes them win but also their familiarity with every bend in the paint. The Spurs however have a fatal weakness. They are oftentimes pushed towards a costly turn over. These are effects of slow response due to age related movements. Once they are disturbed, once their concentration is bothered the next flow of their team efforts usually end up in a turn over. This is where the Miami can take action. For the last several games, the number of turnovers if translated into score is usually the margin of Miami after the fourth quarter accounting. The finals, the ultimate battle between two great teams is not only focused on the players, neither it is a display of mastery by coaches and their staffers. It is how coaches would simply allow their players to dictate the tempo of their individual game plans. For Coach Spo, it is the easiest thing he could do. He could just push Lebron, authorize him to go for the ball, mount a coast-to-coast routine and presto, his team would be up for grabs leading up to the final buzzer. For Coach Pop, it would be some kind of an agony. He must check who has the lucky pulse among his benchwarmers to serve as countervailing force for the dunkin’ doughnut. And of course, it’s not only the creativity of a player that matters but also how he sweetens the score. Here is where the 3-point artists gain their billing. Miami’s Miller and Allen may be called for the butchering job, so it is with Spur’s newly discovered long tom snipers Green and Neil. But in terms of consistency, the Miami marksmen have the historical advantage. Whatever is the result, whoever gets the plum, the Finals succeeded in taming the world, reducing the audience and teaching them clean excitement, something which humanity —whether rich or poor, young or old, man or woman, should maintain and witness a fair game onwards to make civilization worth its significant life. I never would gamble boldly and would never expose my wallet to tell you frankly. If you think you have wise money going for you, don’t follow me. I go for elderly Spurs. This old man believes in his own kind. Note: In a championship match, no team can beat Miami Heat. They have the best cagers in town and a deep bench to boot. But they must also lose in between matches so that NBA revenues would win. NBA is big bucks, big business, big commerce. It is does not only glorify professional sports but a means to conquer resources. It is actually more entertainment than competition, to be mean about it. 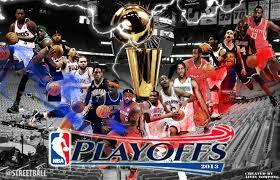 Posted on June 16, 2013, in Uncategorized and tagged basketball, Miami Heat, NBA Finals 2013, sports event, Spurs. Bookmark the permalink. Leave a comment.